Drisana Levitzke-Gray, Young Australian of the Year. There’s a term you may or may not be familiar with. This week we meet a young woman who embodies what it means to gain her Deafhood. 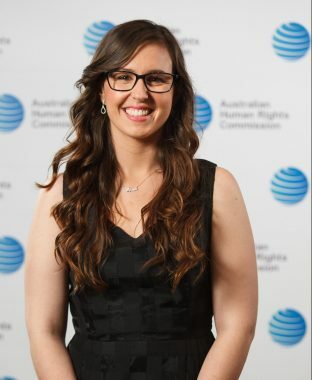 Drisana Levitzke-Gray is the 2015 Young Australian of the Year, she has represented our nation at the World Federation of the Deaf and she’s proudly fifth generation Deaf. We conducted out interview through the American Video relay service, an interpreter supported my hearing and signed back to Drisana. Martine Harte: Drisana thank you for being here. Your great, great grandmother Eva Johnston was Deaf and it must have been a very different world in Eva’s day? Drisana Levitzke-Gray: Yes, her daughter Dot was an icon in the Deaf community. People still talk about her especially with my journey as a Young Australian of the Year, many people have been saying “Dot would be so proud of you, you keep her legacy going, so really for me it’s inspiring. Why is Auslan such a beautiful form of communication for your and your peers? Drisana Levitzke-Gray: I am biased because I grew up signing. It is my first language and I cherish it, I mean I love all other sign languages as well. Right now I’m using American Sign Language to communicate with you all the way from America. The Sign languages has its own grammar, structure, syntax, it’s just like any other native language but the really beautiful thing is that it’s visual, it’s expressive. That’s fantastic, what is something we may not know about your Deaf culture and history? Drisana Levitzke-Gray: Oh wow, so many things! A lot of people don’t realise that Deaf history is both beautiful and sad at the same time. The world ended for deaf people in the 1880s, because before that decade Deaf people were looked up to, they were inspiring to others. They were the community leaders, people wanted to learn sign language and wanted to follow them. In 1880 they had the Milan conference for deaf educators and unfortunately hearing people decided that sign language should be eradicated. So everything changed after that: qualified, intelligent Deaf people (who were formerly looked up to) had no access to their national language. How can you communicate if you don’t have access to your native language? Well you can’t and it makes me wonder why I haven’t heard that story before? Drisana Levitzke-Gray: Because it’s so awful and people don’t want to talk about it. Hearing people don’t want to believe that it’s true. Under Hitler deaf people were sterilised because they thought that being deaf would be passed down to their children. I had heard that story about Hitler’s regime in relation to the Deaf community and it sickens me to the core, that’s why I am so happy to be able to share your astonishing contribution. Thank you for being the first young person to advocate in this way, when did you realise you could be an agent for social change? Drisana Levitzke-Gray: Growing up in the Deaf community with so many role models and so many people who inspire I really always felt the answers were there. They had jobs, they had kids, I was just the same as them. My mum has always taught me to be bold, to travel, to meet people. When I moved to Europe for the Deaf leadership program we really focussed on human rights and advocacy but also more about understanding and knowing deaf history: culture, identity and the language and how the language has grown and changed and how hearing people have colonised deaf people. It’s really important as a Deaf person that I understand my own history so that I can be aware of what to do going forward. To show just how much positivity there is in the community right now, so many amazing Deaf people have become models, are on TV programs, many people are achieving. Finally we’re breaking away from the oppression which started horribly in 1880. Drisana Levitzke-Gray: Technology certainly has its advantages but at the same time there’s discrimination and oppression. For example, with so much content that’s available on the internet, so many videos and all that’s out there. Yet they don’t have things in sign language or captioning and technology is going so fast you really can’t keep up. It’s our right to have this 24/7 to be able to use however we want. It is not a gift, it is not a privilege. Hearing people like to think that they ‘help’ but they’re really not helping. For example a group of students at a university have developed gloves that when you sign wearing the gloves you can speak a sentence so yeah it’s really cool, everyone is really excited about it. It benefits you, hearing people, you already have so many privileges so why do you need more, what about us? Yes understood so it’s conversations like this one we need to be sharing. Is this not oppressive to you? The key point is they are not Deaf. They are not involving the Deaf community, they cannot make the decision for us. Work with us absolutely, we are so happy to have a partnership, but a lot of things hearing people come up with we are not so excited about. What do you think needs to be a matter of public debate? 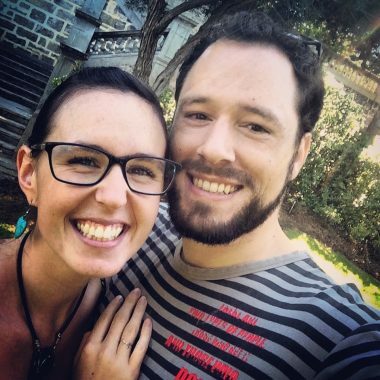 Drisana Levitzke-Gray: My big passion is for Deaf kids to be able to learn Sign language from birth specifically for Australia and that is the biggest issue period. If they don’t have access to language they don’t have access to an education, they are not able to grow to be good law-abiding, tax paying citizens as I am. Many people are also denied good quality education in sign language. Do our educational institutions embrace Auslan? Drisana Levitzke-Gray: The educational system does somewhat support Auslan especially when its for the general population but is definitely lacking in supporting Auslan as the main language for Deaf Children in Australia. Deaf children in Australia need language/s straight away from when they’re born so we cannot wait for school to happen and hope for the best when they start their primary school education. We do need funding support. The government provides more than adequate funding for tools such as hearing aids and cochlear implants, as well as speech therapy classes. Yet they do not put aside any funding or make a commitment to ensuring Deaf children and their families learn Auslan from birth. Our government needs to realise they are being biased and to ensure they support Deaf children having everything from birth, not one or another. We have the ‘Auslan for Families’ program but no consistent, reliable funding. Families need it now, tomorrow is too late. Then we also need a Deaf MP. Actually, Vote 1 Drisana has a ring to it, could be that very person? Drisana Levitzke-Gray: I have been asked by the Opposition leader Bill Shorten. I am considering it but I know it is a very hearing centric world even in Parliament. They don’t permit any other languages in Parliament apart from English. This year I’ve stepped back a bit from the spotlight of being Young Australian of the Year to take some time for myself and my family but most importantly to reflect. Last year was an amazing year, full of great opportunities but at the same time I feel extremely oppressed as a Deaf person, I feel like I need to continue the fight; we all do as Deaf people. I have to fight for interpreters during what should have been an amazing year, to consistently raise awareness every single day with every person that I meet. It was an amazing year with highs and lows and Australia is more aware of Deaf people and Auslan because of this. 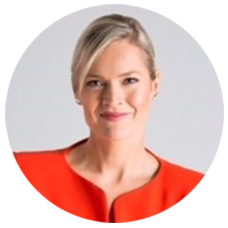 Want to read our interview with Australia’s Ambassador for Women and Girls Natasha Stott Despoja pop over here. She works as a Motivational Speaker, Auslan and accessibility Consultant and provides workshops on various topics. More about her incredible work can be found at her site here. Tagged in Auslan, Deaf activism, Young Australian of the Year.